Ensure timely and secure access to current project content with the EMC Documentum Capital Projects solution. 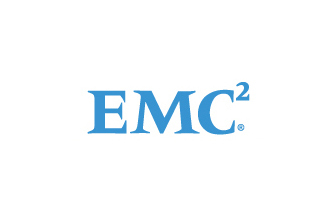 Part of the EMC Documentum for Engineering, Plant and Facilities Management (EPFM) solution suite, this solution enables fast, effective collaboration across virtual project teams. The EMC Documentum Capital Projects solution enables you to manage, find, secure, and share most up-to-date project content during engineering and construction projects. Provide fast and effective collaboration across virtual project teams. Simplify approval processes and ensure inspection readiness through enhanced, automated management of project-related documentation, transmittals, and workflows that automatically create a full audit trail from day-to-day document interactions. Accelerate project setup with a cloud-based, fully managed service that includes prebuilt tools and templates based on industry best practices. Reuse configurations for new projects to ensure user acceptance and promote companywide standards. Integrate with mobile devices, enabling engineering, procurement, and construction (EPC) companies, owner operators, contractors, and suppliers to easily access project content, participate in workflows, approve with electronic signatures, and securely share content while on the go.